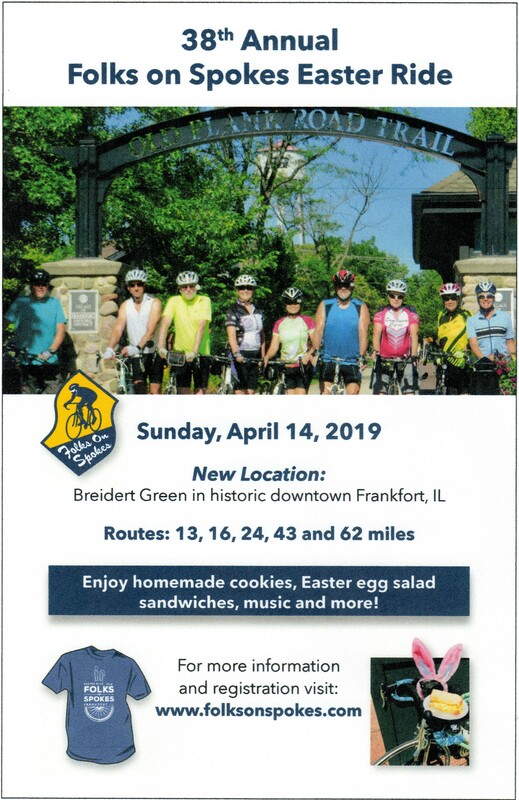 Join us on Sunday, April 14, 2019 for one of Chicagoland's premier rides. at Plank Road Cyclery 20 W. Elwood St.
Click here for a map of Historic Downtown Frankfort businesses. 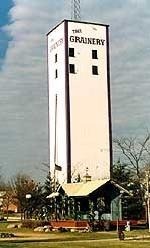 Click here for a map of Frankfort parking locations. 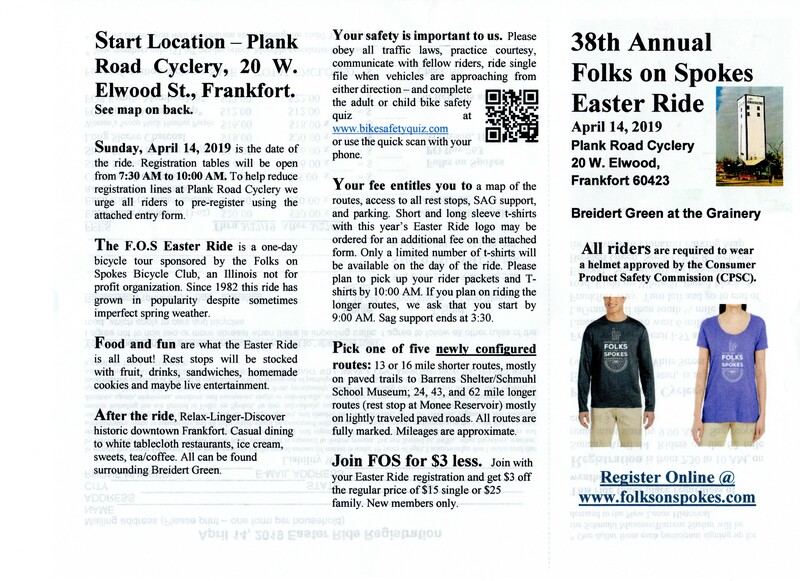 The 38th annual Folks on Spokes Easter Ride is a one-day bicycle tour sponsored by the Folks on Spokes Bicycle Club, an Illinois not for profit organization. 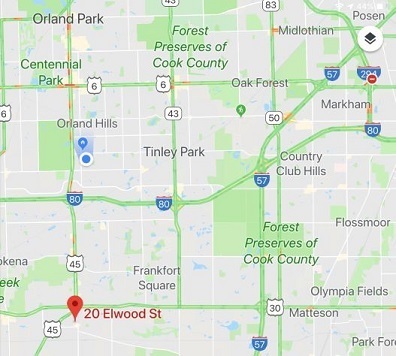 Since 1982 this ride has grown in popularity, despite sometimes imperfect spring weather, and remains the “Opening Day” for Chicagoland cyclists, drawing hundreds of riders each year. The longer routes follow lightly traveled paved roads and a few miles of paved trail. The shorter routes are mostly on paved trails. All routes are clearly marked. Routes range in distance from 13 to 62 miles. The Easter Ride was listed as the Best Biking in America in Bicycling Magazine’s April 1999 issue. Sign up now! Online registration ends 4/12/19 at 5:00 pm. Or download registration form (below) and mail in. Credit cards not accepted on the day of ride registration. Your fee entitles you to a map of the routes, access to all rest stops with fruit, drinks, sandwiches, homemade cookies, and traditional Easter Egg salad sandwiches, SAG support, and parking. 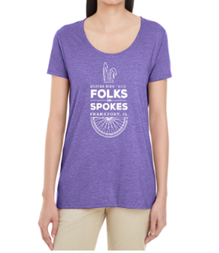 A limited number of t-shirts may be available on the day of the ride. Please plan to pick up your rider packets and T-shirts by 10:00 am. If you plan on riding the 62 mile route, we ask that you start by 9:00 am. Sag support ends at 3:30 pm. No refunds after 3/27/19. The 13 or 16 mile routes are mostly paved trail to Schmuhl School Museum. The New Lenox Historical Society will open the school for tours. Folks on Spokes will donate $1 to them for each trail rider. There will be two licensed Physical Therapists (Sharon & Barb) giving massages downstairs in the Boiler room at the Trails Edge Brewing Company from Noon-4:00 pm. Both PTs are just working for tips. Also at the Trails Edge from Noon-3:00 pm the Friday Afternoon Band will be playing everyone's favorites. Showing your FOS Easter Ride wrist bands you will receive 15% off on all food orders. This ride takes place regardless of weather. Limited to 500 riders. All riders aged seventeen and under must be accompanied and supervised by an adult throughout the ride. 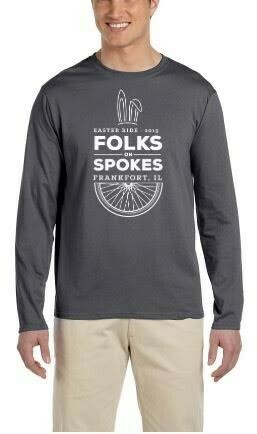 The success of this invitational ride enables our Club to make generous donations to the League of American Bicyclists, Ride Illinois, Active Transportation Alliance, and others. Why: Really? You like bicycling don't you? How: Any way you can, get yourself to the Easter Ride! We will be offering the following specials on the day of the Easter Ride. MUST DISPLAY BIKE REGISTRATION NUMBER OR WRISTBAND TO RECEIVE SPECIAL PRICE DISCOUNTS! 15% off food orders at Trails Edge Brewing. Opens 11:00 am. 20% off food at Durbin's Pizza and Catering. Opens 11:00 am. 15% off food orders at Aurelio's Pizza. Opens 11:00 am. 9901 W. Lincoln Hwy.